When you first get your Part B insurance (for example when you turn 65) you can buy a Medicare Supplement plan without having to qualify based on your Medical history or by taking a Medical Examination. This is called “Open Enrollment”, and you qualify for guaranteed issue during this time.. However, once your original guaranteed issue rights are gone, what happens if you want to change plans? Are there any times when you can change plans without having to take a Medical Exam after your original guaranteed issue rights expire? Your Medicare Advantage Plan, decides to leave your area, or you move out if it's service area. A Medicare Advantage Plan is one that has a network. It is also known as a Medicare PPO or a Medicare HMO. Many companies sell these plans, which are also known as MAPD plans, or MA plans. When your plan leaves then you are entitled to a SEP, which stands for “Special Election Period”. A SEP allows you to change your plan without having to wait for open enrollment (which is October 15th through December 7th of each year). If you ever have a SEP based on your move, you may want to check to see if Medicare Advantage is still the best plan for you before signing up for another Medicare Advantage plan. You leave an MA, MAPD, or Medicare Supplement Plan because the insurance company misled you or broke the rules it was supposed to follow. 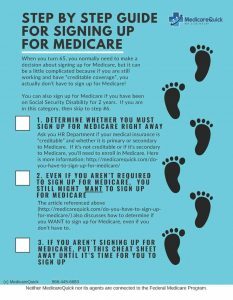 You joined an MA, MAPD, or PACE plan at age 65, (during your Initial Eligibility Period or IEP) and within 12 months you change back to original Medicare. You only have one year to use this right, and it has to be within the first 12 months of joining the MA, MAPD, or PACE plan. You dropped your Medicare Supplement Plan to join a Medicare Advantage Plan or SELECT plan within the last year, you've never been in a Medicare Advantage or SELECT plan, and you want to go back. Remember that you must change back within the first year of joining the Medicare Advantage plan. You move out of your Medicare SELECT policy's service area. Your group health plan, retiree health plan, COBRA plan, or Union plan is ending, and you have original Medicare as a secondary insurance plan. If this happens, don’t forget that in addition to purchasing a Medicare Supplement plan you will also need a Prescription Drug Plan as well. You will have a SEP to buy the drug plan. Your Medicare Supplement insurance policy ends and it wasn't your fault. (You have continued to pay your premiums on time and were truthful on your application). For Example, if the insurance company goes bankrupt then you would have a guaranteed issue right. You drop a Medicare Supplement policy because the company misled you or didn't follow the rules it was supposed to follow. In the state of California you have the right to change your similar policy to another insurance carrier on your birthday plus 29 days each year. Since the policies cover exactly the same things (Insurance Company 1 Plan F has the same coverage as Insurance Company 2) you may want to “shop” your policy every five years or so to make sure that your policy premium isn't overpriced. It's important to keep documentation in relation to your guaranteed issue rights. If you receive ANY letters, faxes, emails, etc that discuss the fact that you are losing coverage, in any way, be sure to keep those, as you may need them later. Call us today at 866-445-6683 or contact us online. * This may not be a complete list. Please contact us or another competent Medicare Insurance Broker to discuss your personal situation and how guaranteed issue rights affect you personally.